One of the most important tools for divers are dive watches. Aside functioning as a regular wrist watch, they are also used to gauge the amount of time spent by a diver underwater. Regardless of whether you're into other water sports, apart from diving, a good-quality dive watch will surely meet your expectations. 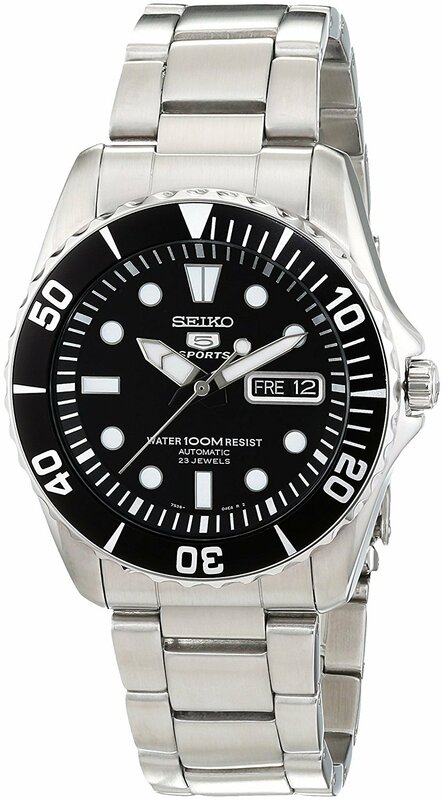 Seiko Men's Black Dial Automatic Divers Watch. Its strap is made of pressure-vented urethane that is comfortable and can be fastened in just a buckle closure. 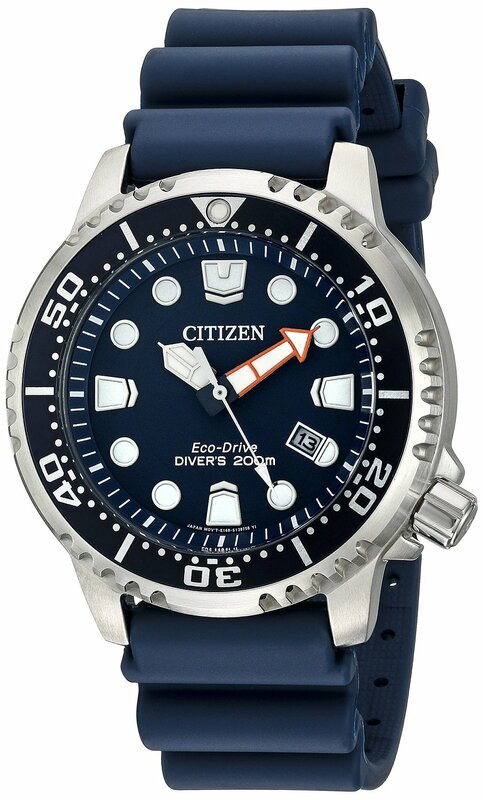 Citizen Men's Eco-Drive Promaster Diver Watch With Date, BN0151-09L. It is water resistant to 200m or 660ft thereby meeting some of the International Organization for Standardization (ISO). Casio Men's Black Analog Anti Reverse Bezel Watch. The case is made of stainless steel with a rubber “resin” band and standard stuff like Japanese quartz movement, one-way rotating bezel, mineral glass. 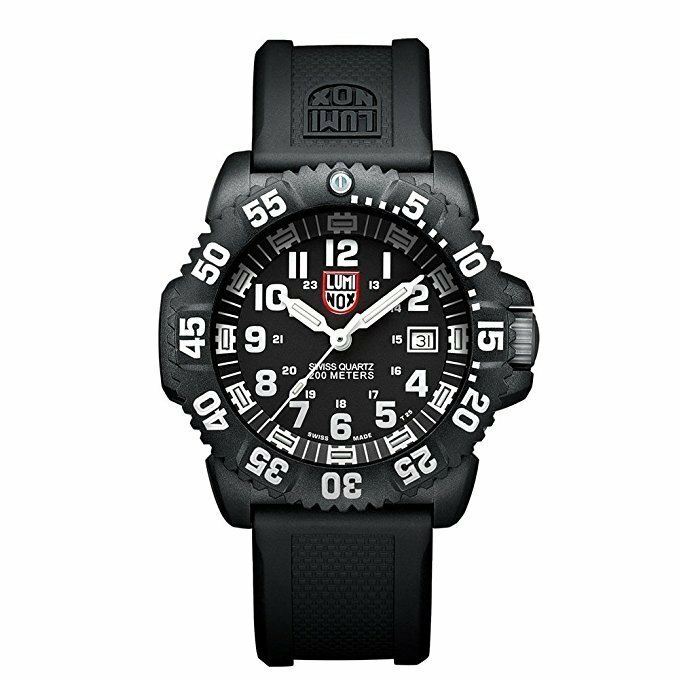 Luminox Men's 3051 EVO Navy SEAL Colormark Watch. This diver watch is perfect for no light situations with brightness 100 times better than other luminous watches providing easy readability. 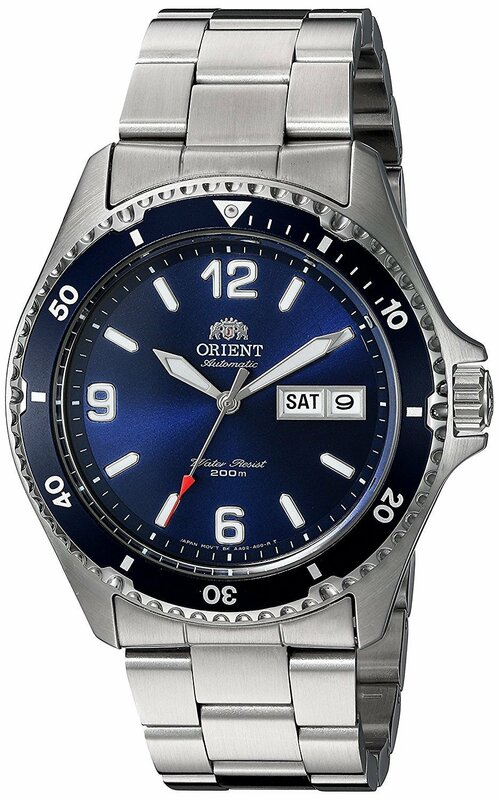 Orient Men's 'Mako II' Japanese Automatic Stainless Steel Diving Watch. doesn’t need a battery because it is being powered by body movement. Benefits of using a dive watch. Do you often go diving, or you would like to start and you need a diving watch for your underwater adventure? Below are benefits that will help you in understanding how diving watches work, so you can decide if they perfectly fit your plan. It allows you to keep tab on the amount of time spent underwater. This help in limiting the amount of water pressure that your body can be exposed to before it starts reacting negatively.It gives you an elegant look. dive watch has great waterproof ability at an incredible depth. the deeper you go in the water the higher the pressure is, dive watch was designed to withstand this increase in pressure. so you don’t need to worry about going deep into the water..
International Organization for Standardization (ISO) laid-out regulations that help verify a dive watch to be safe for deep water diving. Based on ISO 6425 standards, there are six important attributes of a high-quality dive watch that allows smooth operation deep down the ocean. Waterproof ability at the minimum of 100 meters (330 ft). It must have magnetic and shock resistance movement. Luminous tail or tips that serve as an indicator for easy readability in darkness underwater.Back casing, whether it is fully sealed or well screwed in order to avoid any form of water penetration. The case must be made of high-quality waterproof material such as titanium or stainless steel, including rubber and ceramics have corrosion-resistant ability by fighting against sea salt accumulation. Rotational unidirectional bezel, This allows you to take a brief look at the measured elapsed time and prevent the dial from moving backward accidentally, giving you the impression of having enough time left. Dive watches are specifically designed to be worn by divers underwater. However, people that aren't divers do wear it because of its classic look, ruggedness and ability to withstand pressure. Using it to measure time left. Using it to track time elapsed. You can use it for date and time telling. Do you need a dive watch after wearing dive computer? Yes, but it depends on how deep you will go underwater and time period to be spent. Technically speaking, a dive watch serves as a backup to dive computers because batteries can fail. Suppose your dive computer develops a fault and you are with your dive watch, you can navigate your way out of the water safely. Besides, there are situations where your dive computer might not start counting until you reach a certain depth whereas your dive watch become useful in such a scenario to determine the amount of time spent in the water. Why you need dive watches as a sea diver? When under water, you breathe in air that contains gases like nitrogen and oxygen, which when under pressure dissolves into the bloodstream including the tissues. The more time spent underwater, the more gases you inhale. You also encounter similar thing on your way up. Moving up quickly will cause bubble formation. These bubbles are risky because they might cause embolism to occur in blood vessels, which can lead to serious health damage or death. So moving upward at a gentle pace while pausing along the way will let the gases dissolve. All these can be achieved by wearing a dive watch that tracks the depth and time, while guiding you through the ascending and pausing phase for safe navigation out of the water. Best Dive Watches under 200$ Reviews. 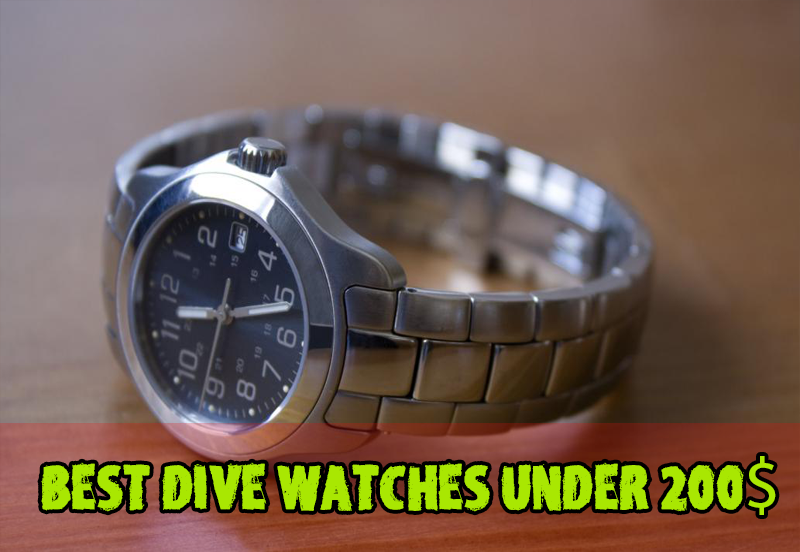 There are lots of dive watches under 200$ could possibly choose from but we have done an expansive research to reduce the stress of choosing the best one available. We will be mentioning some of them in subsequent paragraphs. This watch case is made of a stainless steel 43 mm diameter in size and a three-hand function black dial. The bar marker is easy to read, with screw down case and a unidirectional bezel that measures the elapsed time. It is water resistant to 200m or 660ft. It is simple and classic. It is well-built and strong. Its self-winding attribute makes it run fast or slow. This watch comes with a blue rubber strap and dark-blue watch face, 48mm stainless steel case, and analog displaying Japanese quartz movement powered by solar. It is water resistant to 200m or 660ft thereby meeting some of the International Organization for Standardization (ISO). It has one directional bezel and polyurethane rubber strap. It is well built, attractive and of good quality. It is being powered by solar, so no battery is needed. It is not too light or heavy, making it comfortable for the hand. It has great night vision with visible dial for far-sighted people. it requires manual setting of date and time. The band is not ideal for skinny guys because of its slim and small size. 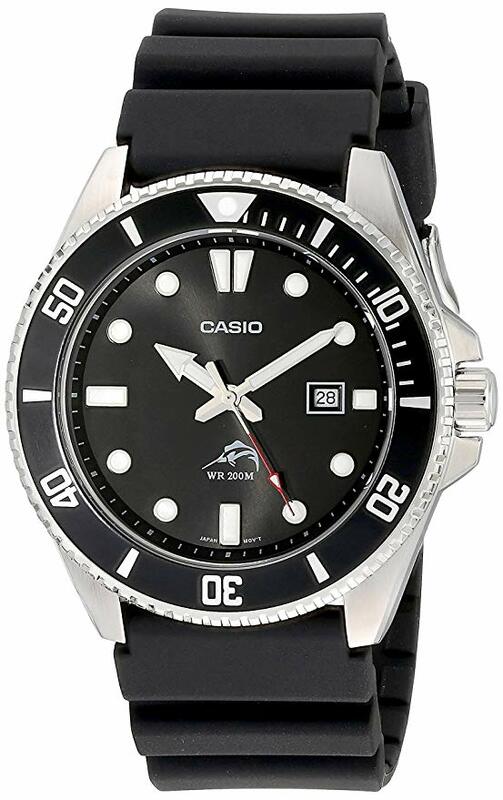 Casio Men's Black Analog Anti Reverse Bezel Watch fit nicely to a wrist because of its curved and short lugs, all enclosed in a 44mm diameter case. This diver watch is resistant to water up to 200m or 660ft, made possible by a screw-down seal. The case is made of stainless steel with a rubber “resin” band and standard stuff like Japanese quartz movement, one-way rotating bezel, mineral glass, etc. It gives accurate time and long lasting brightness. It can withstand rough treatment, making it durable. It has one-way rotational bezel, coupled with attractive and functional design. It is fits perfectly on a small hand. It’s is not bright enough. The dial has no number making it difficult to read and operate. Its strap is easily wearable. This diver watch is perfect for no light situations with brightness 100 times better than other luminous watches providing easy readability. It is protected by a durable dial window couple with a unidirectional textured bezel, all enclosed in a 43.9mm polyurethane case. Its strap is made of polyurethane (including a buckle clasp) that shows decompression stats and time spent diving, allowing you to make use of its 200mm water resistance capacity. Beneath the crystal, lies applied markers and a date window. These watch is perfect for serious water surface sports and professional marine activity. It has a sharp look coupled with fat dials and bold numerals. Its unidirectional rotational bezel is firm and safely secure, making it a perfect countdown device. Peerless glow in the dark. It is durable and has a lighter weight making it comfortable for the hand. The rubber strap is not durable. The dial is not perfectly aligned with digits. Known for being accurate and reliable, this diver watch is trustworthy and doesn’t need a battery because it is being powered by body movement. It is encased in a 41.5mm stainless steel and a screwed down 120- click one directional bezel for exact precision. It is water resistant to 200m or 660ft with Japanese automatic movement. It is unique, classic and accurate. It has a moderate size (not too large or small). The date and time are readable. The crown isn’t easy to unscrew due to its small size. Bezel is too tight making it hard to turn. The band looks like falling off, if use daily. A diver’s watch serves as a measuring device, treasure and a companion at the same time. Being a diver is not the yardstick for using dive watches, once it is guaranteed that it is good for diving and any other water sports. Maybe you are a diver or just admirer of its style, there are dive watches that perfectly suit your taste.